We “Advance Decorative Laminates Private Limited" founded in the year 1988 are a renowned firm that is engaged in manufacturing a wide assortment of Plywood Doors, Veneer Plywood and much more. We have a wide and well functional infrastructural unit that is situated at Ghaziabad (Uttar Pradesh, India) and helps us in manufacturing a remarkable collection of products as per the global set standards. We are a Partnership firm that is managed under the headship of "Mr. Rajat Salhotra" (Partner) and have achieved a significant position in this sector. Our products are unmatched in terms of quality, durability and high-performance standards. We make use of cutting-edge technology for our products so as to offer our clients a range that not only match their expectations, but also those that are at par with the latest market trends. The in-house resin manufacturing plant makes all the products impeccable in quality and unmatched in the finish. By using plantation timbers for core, it supports both forestry and mixed crop cultivation. Our quality controllers ensure that only high-grade raw material is used for our products that are procured only from reliable vendors. They also conduct stringent quality tests on our products on various parameters to ensure that they are flawless and defect free. They also ensure that our products are in compliance with the international standards of quality. We have with us a robust manufacturing unit that enables us to develop an impeccable range of quality and unmatched products for our valuable customers. 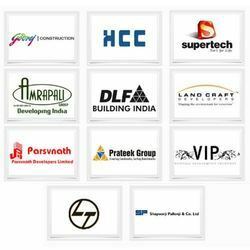 We also have with us a skilled team of experts who are well versed in their respective domain. The vital success of our organization is due to the tremendous effort and dedication made by our team of professionals. We are open to all kinds of suggestions and feedbacks given by our customers that further enable us to enhance our capabilities to offer best quality products to our customers. We adhere to several quality measures to keep a regular check on our range. Our laboratories are equipped with advanced machinery and technology that enable us to monitor products at every level of the manufacturing process. Being a quality conscious organization we ensure that our customers are provided with quality products. We adhere to several quality measures in order to check our product range regularly. We have an in-house quality testing laboratory that is equipped with advanced machinery and technology that further enable us to check every level of the manufacturing process. Our quality controllers supervise the production process to fully ensure that quality product manufactured and dispatched to our customers.